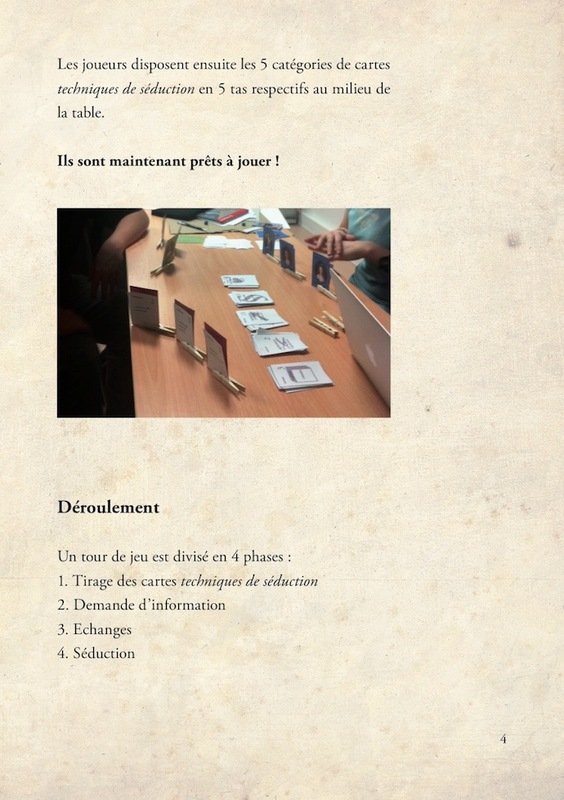 The board game workshop organized by Antoine Bauza offers the ENJMIN students to create a board game in three days, working in duo. 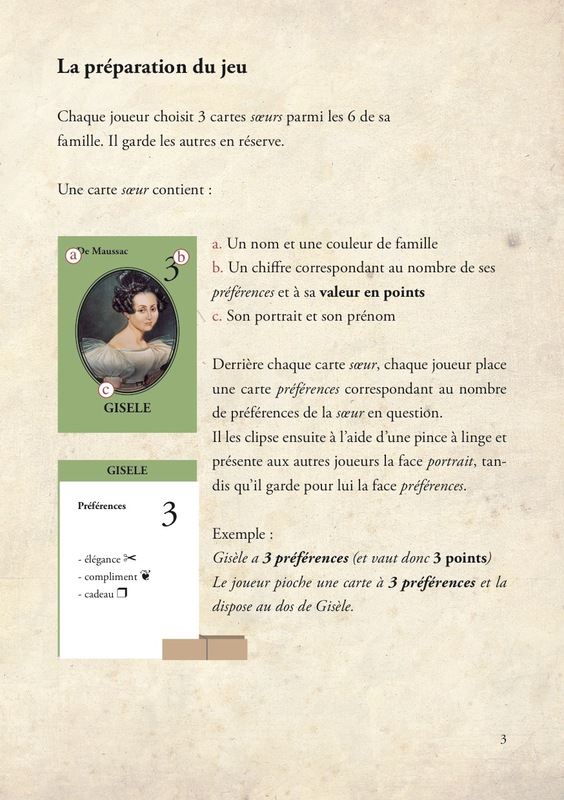 Each player has a family with six sisters and needs to seduce the other players’ sisters to win. 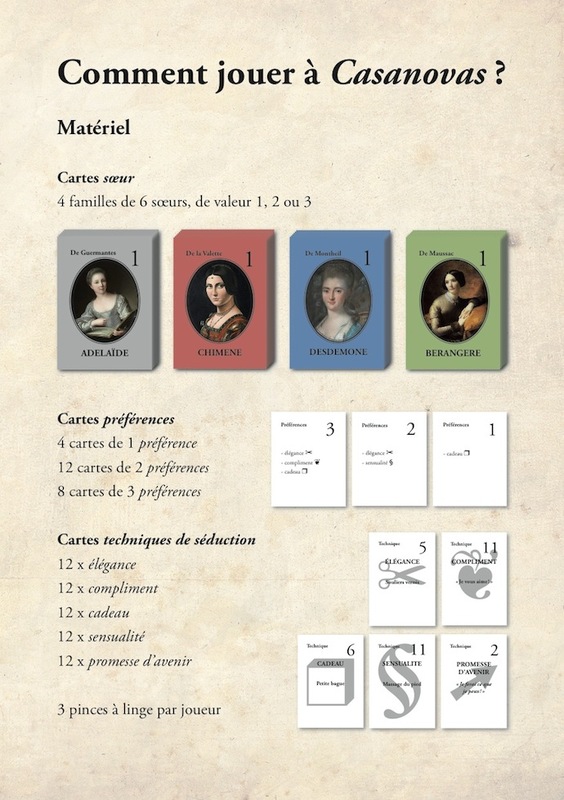 For that to happen, the player has : – To gather informations on what these other families’ sisters like best – To get the “seduction techniques” cards that match the targeted sisters’ preferences – To present the matching cards to the player “owning” the sisters in order to seduce them. 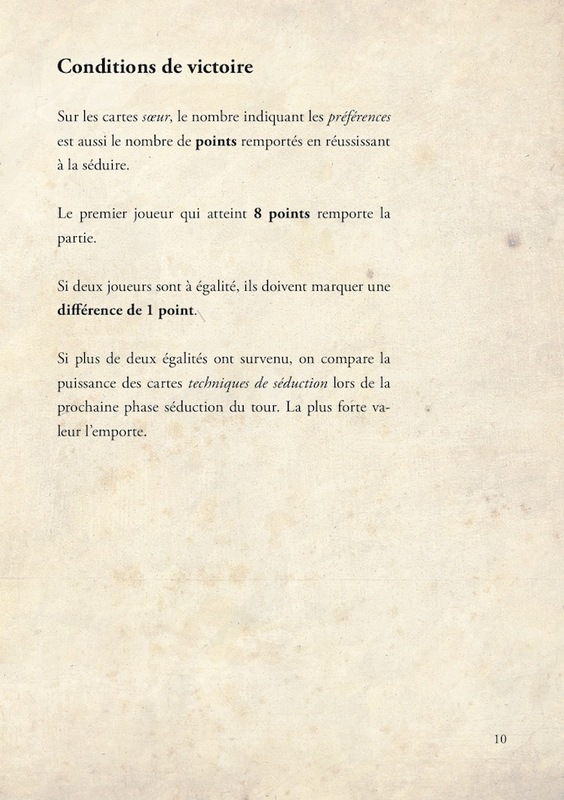 The first player to gather eight points by collectionning sisters wins. 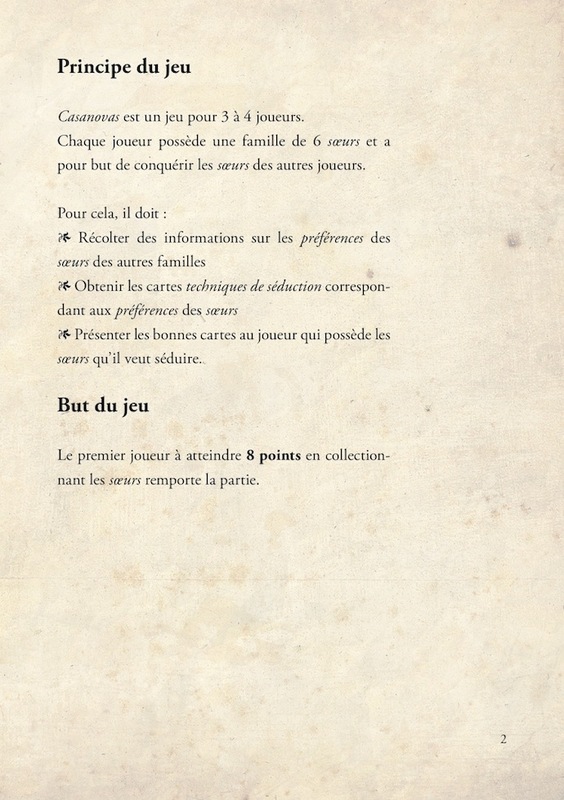 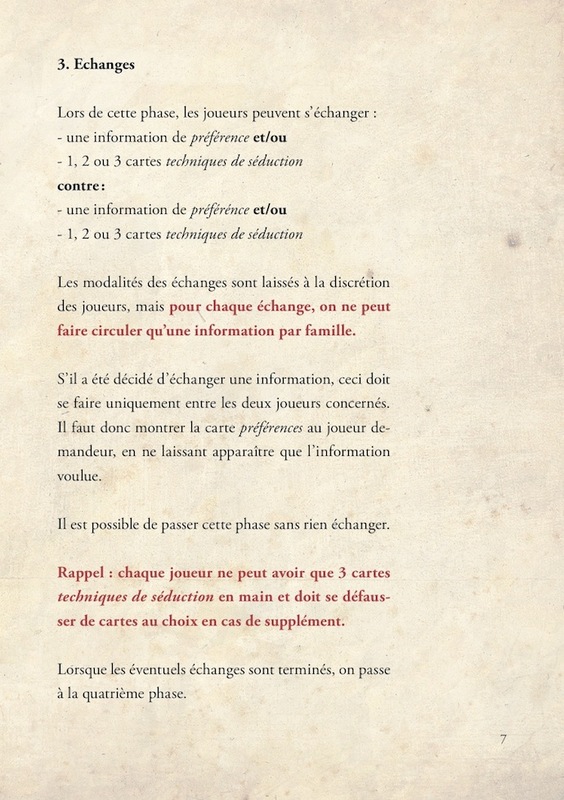 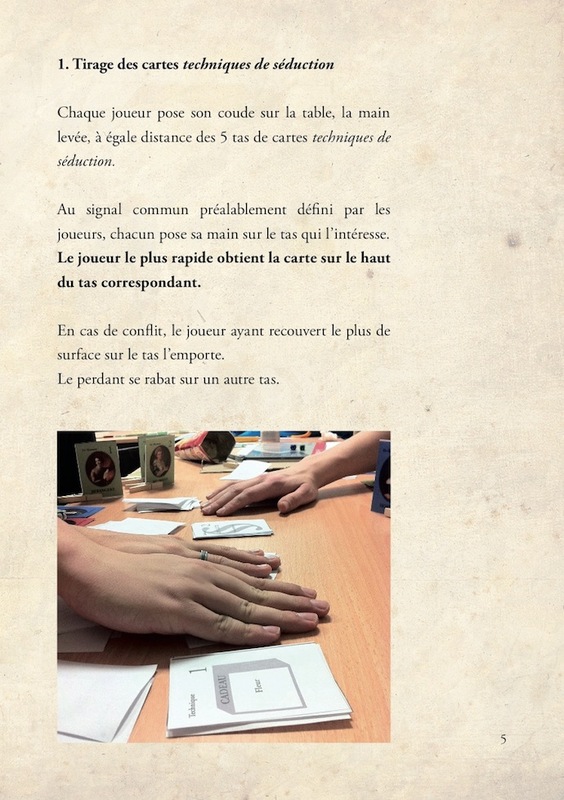 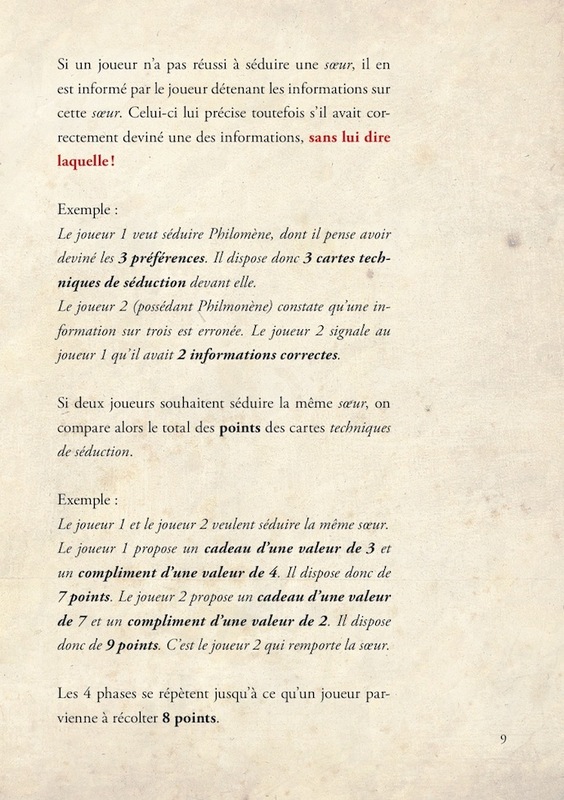 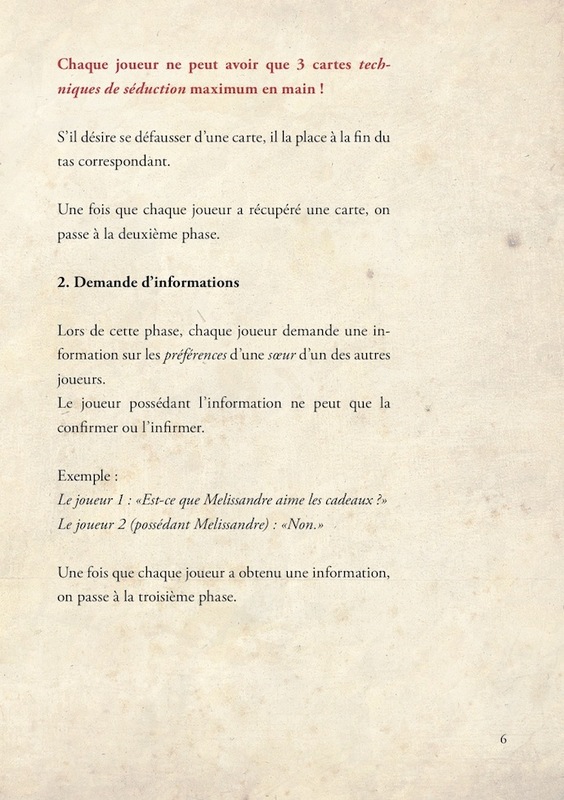 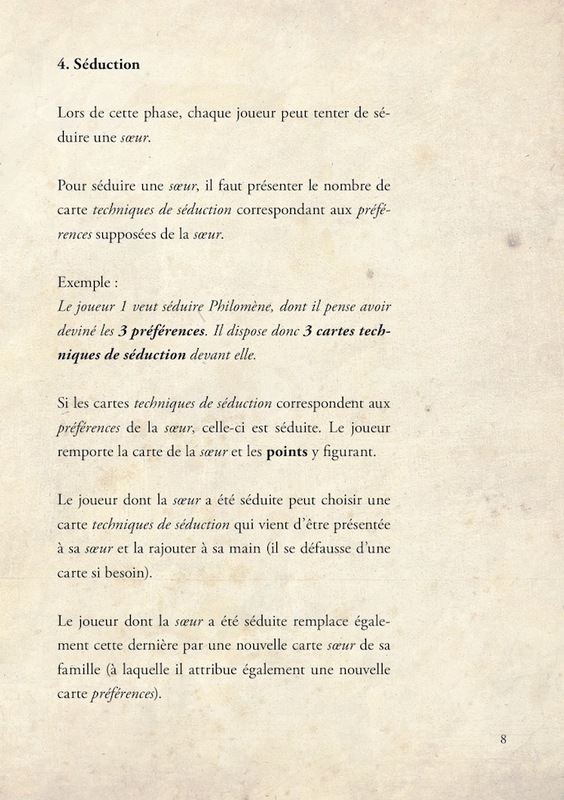 Here you can download the game rules (french only).